g35 | of slow starts, mid-pop and late losses . . . 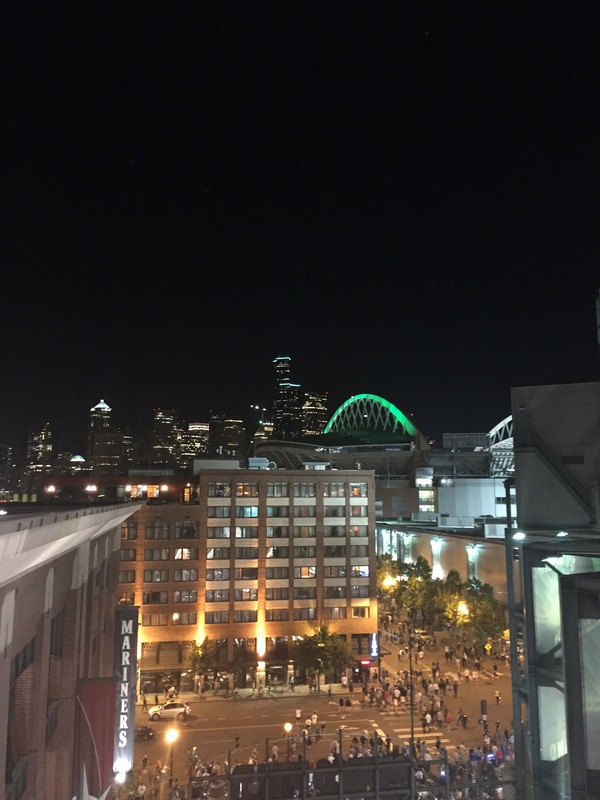 Sad to say, this was only the second M’s game I’ve attended this season (plan to get that total up to at least 20 before season’s end!). I was a bit lat because of some work falderal. 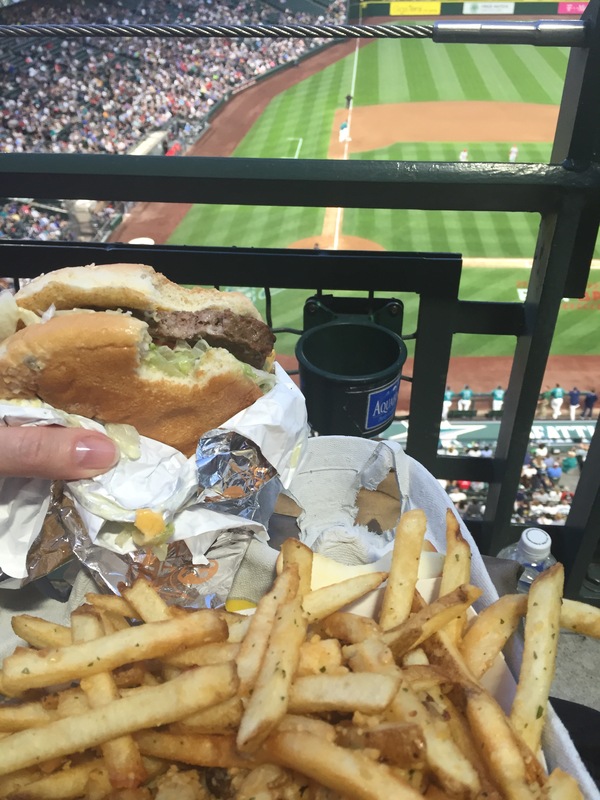 Didn’t get to my seat until the top of the 4th (which turned out to be when all the action started) and I was famished . . .
Nathan was so-so, only allowed ONE hit for extra-bases (a double that proved futile). The Halos just seemed to single, sac-fly and bloop hit him to death. a rare, stumbling bully . . .
Rare in that they came into the game 16-0 when leading after eight. They (Vidal, Nick, Joel and Steve) combined for TWO.TWO innings with FOUR of the SEVEN hits they allowed for extra bases and they allowed FOUR earned runs. Steve had a ONE run lead but, blew the save and took his second loss of the season. Hopefully, just an off-night and not the start of a struggle. A little bit of everything from a little bit of everybody . . .
Nice to see the bottom third of the order coming through . . . 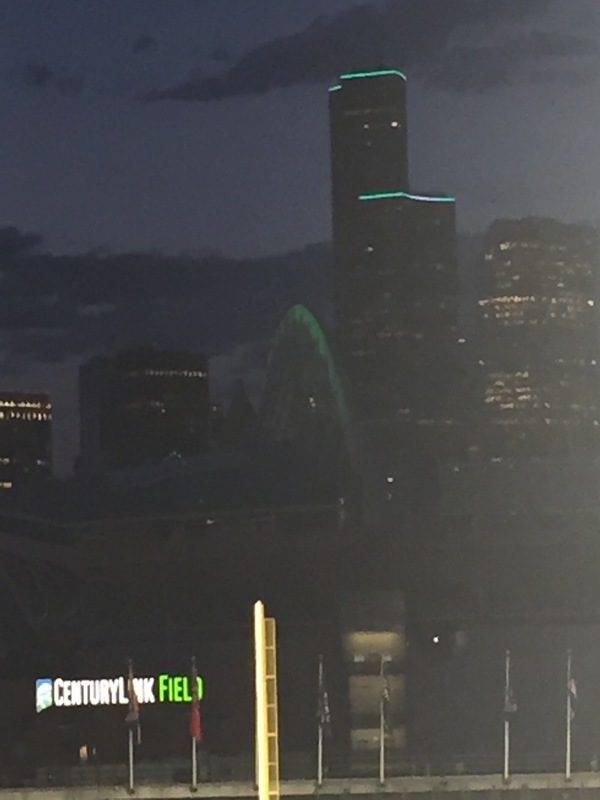 Cool to see the Columbia Center, Smith Tower and Century Link Field reppin’ their Mariners teal. . .
Cruz now has 31 homers against Angels, his most against any club, in 135 games. The 12-game hitting streak for @RobinsonCano is the longest by a #Mariners hitter this season.